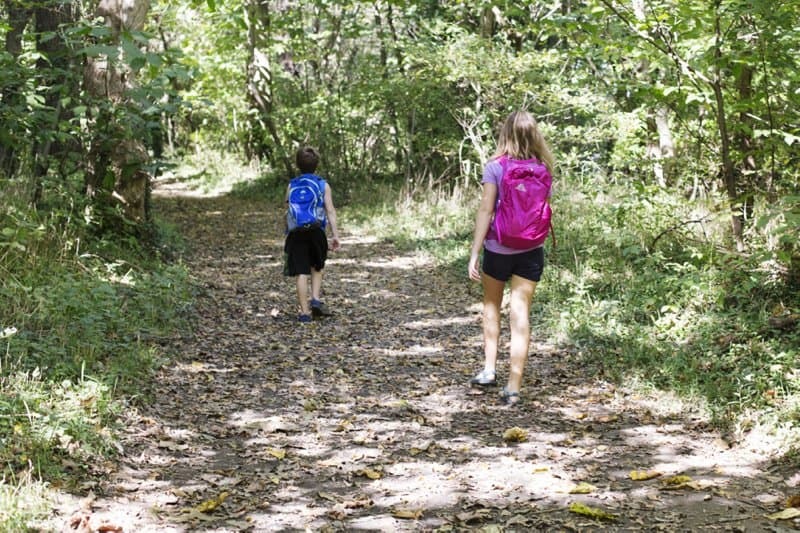 Many families would love to hike with their children, but feel intimidated about it. It’s hard to know where or how to begin. I can relate. I had great intentions of hiking with my kids, but took nearly a year to actually plan a hike and go. It felt like a big thing to hike alone with children-to gather all the necessary things, to find a place to hike, to make the drive, and to keep up with them on the trail. After our first hiking trip, I couldn’t believe I’d waited so long. We had the best time together on the trail. It continues to be one of our favorite ways to spend a day together. 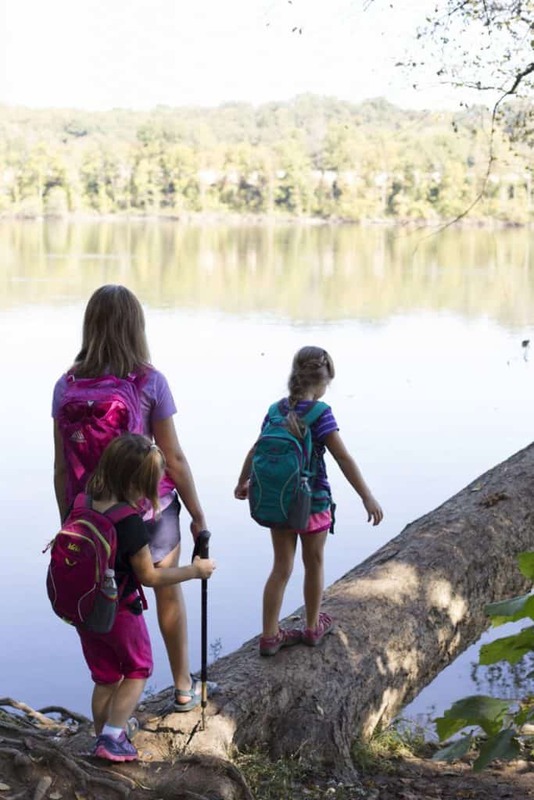 Hiking with kids doesn’t have to be hard or scary. 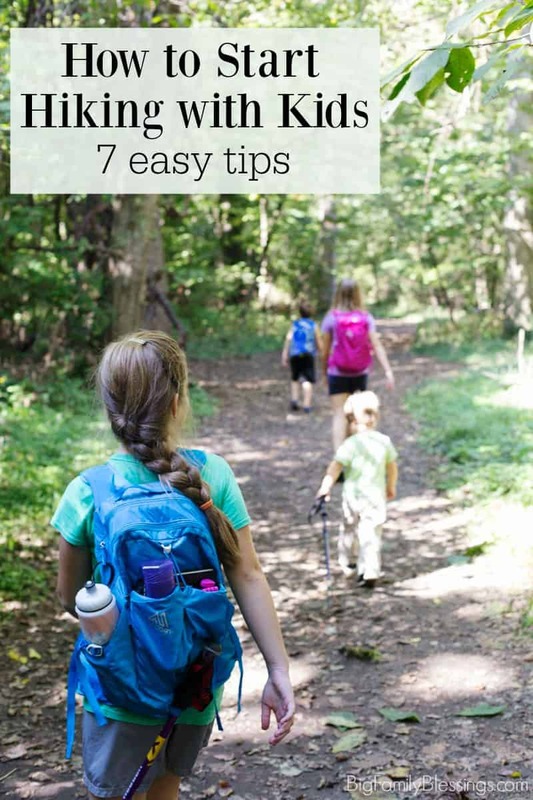 I’m sharing my favorite tips to help you start hiking with children. Don’t let this beautiful fall pass by without spending some time walking in the outdoors with your family! Hiking doesn’t have to be a 5, 8, or 10 mile trail. Start very small. I recommend 1 mile to 3 miles for the first several hikes. In fact, 3 miles is my favorite distance even after several hikes with my children. I’d much prefer to meander down the trail and allow the children to explore as they desire, than push them and rush through our day. 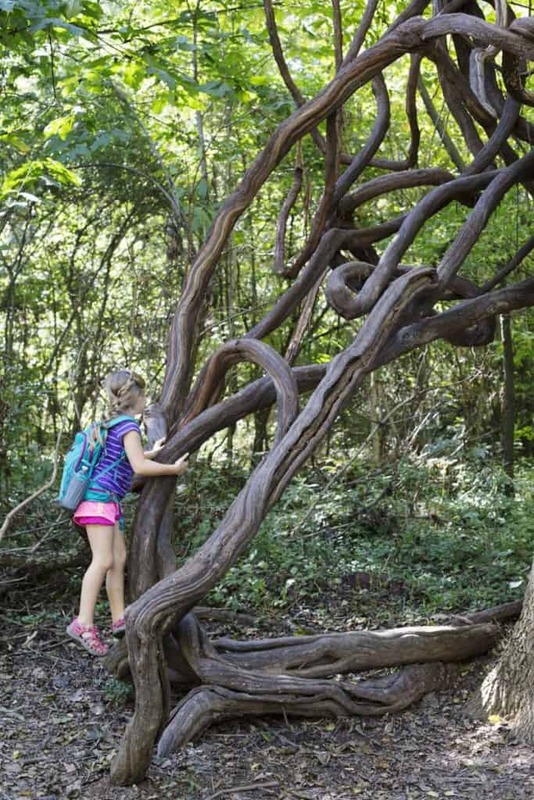 Children are fascinated by the things you wouldn’t expect: a pile of rocks, a fallen tree trunk to climb and perch on, and the bugs along the way. Better to stop before hiking gets boring and kids start whining. You want to end on a positive note with kids wanting to hike again! Beautiful hikes can be found in parks and near streams. Hiking doesn’t have to occur in the mountains or with difficult terrain. Keep in mind that you don’t need a long trail or high elevation, especially for the first several hikes. You might be surprised to find a great start locally with a short trail. Ask friends, post on local Facebook boards, and check local parks for trails. Plan a short hike before or after lunch rather than carrying a meal. Packing snacks is much easier than packing a meal, and starting small with just a few hours of hiking is a good idea anyway. Pack a full change of clothing down to underthings and shoes to leave in the car. I can’t tell you how often my children need a head to toe change when we are done for the day. Kids can find mud or water on every hike! Leave a cooler in the car with a special treat and extra drinks. If hiking gets boring and kids get whiny before the hike is over the promise of a fun snack waiting in the car is often enough to save the day. Hiking as a family is such a great way to spend quality time together. Plan your first hike today! Check out this post for how to pack a child’s day pack.